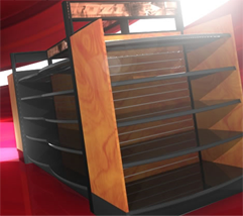 Blazer Store Fixtures is proud to distribute Lozier® Display Fixtures. Lozier® has been a manufacturer of store fixtures since 1956. Combined with Blazer's outstanding customer service, and earnest desire to impress our customers, Lozier® and Blazer combine to be a leading distributor of retail store fixtures. Along with our inventory of New and Refurbished Lozier products, Blazer has a good selection of assorted hooks, hangers, and display vehicles for Slatwall and Gridwall fixtures. We work with our customers on installations and liquidation of fixtures, we buy used fixtures, and our network of display fixture suppliers can also be accessed to find you the right fixture for your display needs. Using standard Lozier products, and adding specialty fixtures with wood or steel, Blazer Store Fixtures can create custom sections to display your specialty products for maximum impact. Since 1994, Blazer Store Fixtures has been providing quality new and refurbished product to our customers across Canada from our facility located in Saskatoon, Saskatchewan. Whether you are looking for a standard new or used fixture(s), or a custom fixture with specific requirements, Blazer will work with you to get you what you want. From standard Lozier brand steel shelving, peg hooks, slatwall accessories, costumers and clothing racks, to specialty shelving, laminated Slatwall styling, to installations and rental of our Gondola mover, Blazer offers a great variety of product and service options. Several excellent options are available for light or medium weight storage. Under our Lozier products page, check out options in our Widespan and S-Series product lists. For your back room, small warehouse, or even your garage or storage locker, we have several products that could be the solution your looking for. Slatwall for permanent wall features or for use in free standing displays. Check the product sections above for our selection. 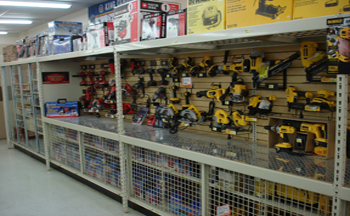 The staff at Blazer Store Fixtures will work with you to ensure you are getting the products you want. From our inventory, or through a large number of suppliers, we can deliver what you want - not what we have. We also buy used fixtures! Our site will be updated as often as our product selection changes. Keep checking back for Feature items and recent purchases of quality pre-owned products. If you have a picture of a display you like, or you've built with products from Blazer, send it to us and we will post it in our Gallery and Hall of Fame! If you'd like, we can add a link to your web site. 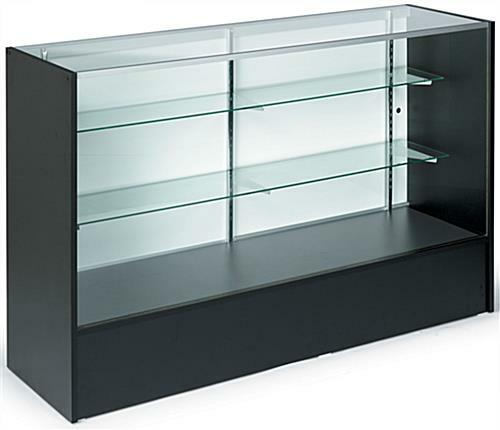 If you have a picture of a display you want, can't recognize, or want to sell, send it to us for review.